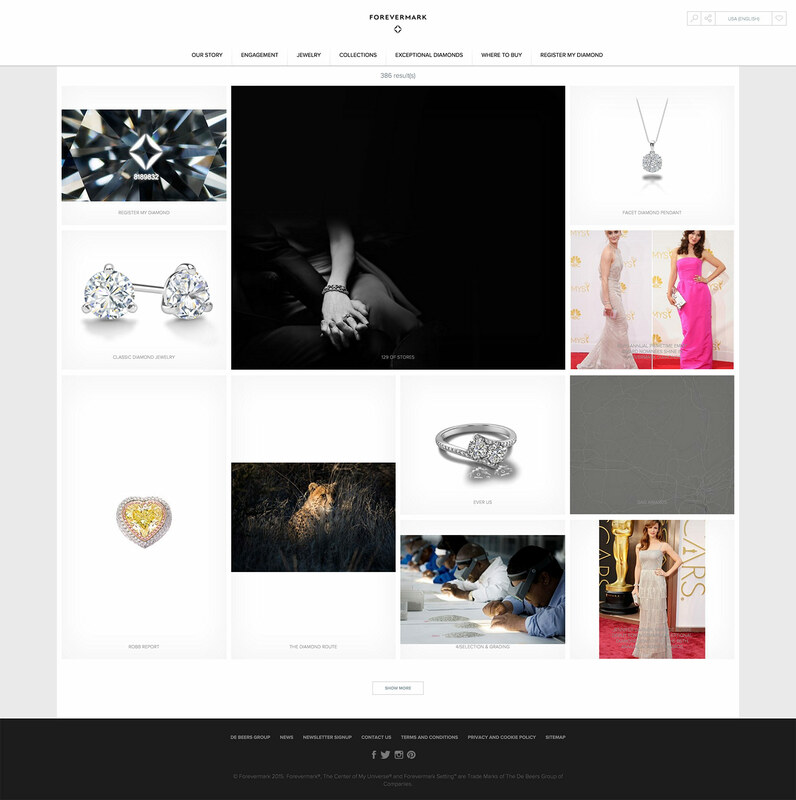 Forevermark, a De Beers company, are a worldwide provider of diamond jewelry, particularly huge in the United States and Chinese markets. 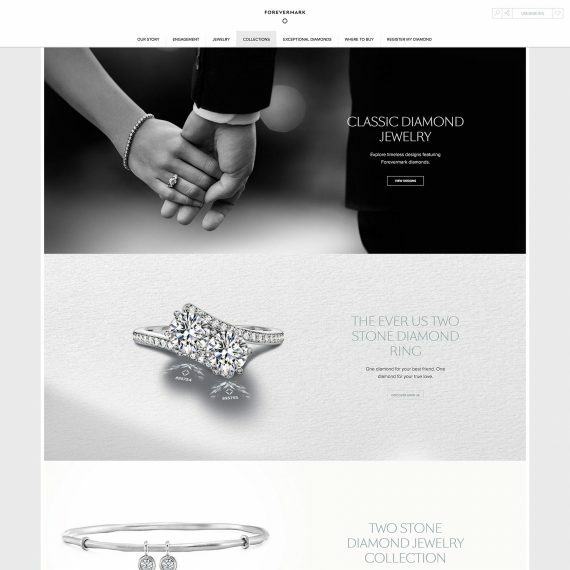 Only the worlds top 1% of diamonds are beautiful enough to qualify to be sold as a Forevermark diamond. Once they are qualified they are uniquely marked, forever. The brief for this project was a new global website which would concentrate on the US and Chinese markets. This including creating a store finder using Google Maps as well as an alternative for the Chinese market using Baidu. 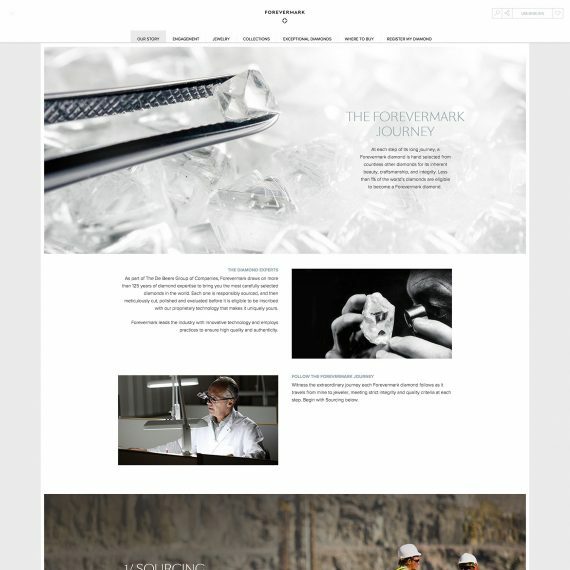 The Content Management System used for Forevermark was EpiServer which is based on .NET. EpiServer is wonderful for creating blocks which are reusable and translatable across the website, this obviously helped out the client immensely. The latest front end technologies used were Backbone, Marionette and SASS/Compass for styling. As much of the front end code as possible was reused due to the blocks being similar.